The Parque Mourabel, Oasis Village & Pe do Lago is located in Vilamoura approximately 1.5km to the beach of Praia de Falesia and to the Vilamoura Marina, which takes around 25 minute walk Faro airport a 20 minute drive away.All apartments are fully..
Parque Mourabel enjoys a fabulous location in the heart of the fabulous resort of Vilamoura, only 1.8km from the golden sandy beach and 1.5km from the picturesque and bustling Vilamoura Marina, filled with great shops, lively cafes, bars, restaurants,..
General Description: Parque Mourabel - Oasis Village - Pé do Lago is located 2 km from the sandy beach. The closest city to the hotel is Albufeira (25 km). To make your stay more comfortable a lobby and a reception are available. For guests who wish to.. 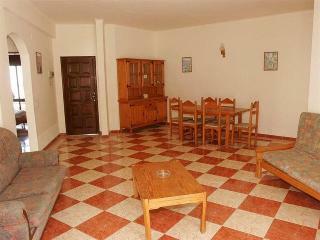 The apartments feature modern decoration as well as services and amenities (balcony, kitchenette and satellite TV). They are an adequate choice for families searching for a quiet place to spend their holidays. Well-positioned in Vilamoura Suburb, this hotel is the ideal point of departure for excursions to Vilamoura. Fal¿sia sandy beach is approximately 1.8 km away. A few metres from the hotel there are countless shopping facilities, bars and restaurants..
Well-positioned in Vilamoura Suburb, this hotel is the ideal point of departure for excursions to Vilamoura. Falésia sandy beach is approximately 1.8 km away. A few metres from the hotel there are countless shopping facilities, bars and restaurants as..
Apartments with quiet location, just 1.8 km from Falesia beach and 1.5 km from the center of Vilamoura. Parque Mourabel/Oasis Village/Pe do Lago are 3 complexes which consist of 3 buildings with 5 floors. The guest can be allocated in one of them according.. 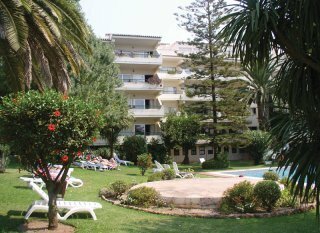 The Pateo Village Apartments enjoy a great location only 1.5km from Albufeira's picturesque old town and the soft sandy family friendly beach in the ever popular Algarve. Guests will find a fine array of good shops, cafes, lively bars and nightly entertainment..